Waciny Laredj was born in Tlemcen, Algeria in 1954. 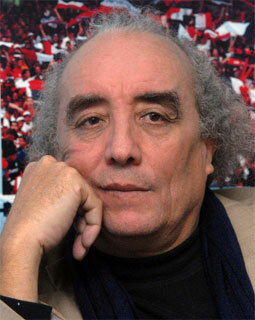 He is a well-known author both in his native Algeria and in France, where he has taught literature since 1994. Several of his novels have been translated into French, although none—I believe—has made its way into English. Laredj has won a number of prizes for his work, including the prestigious Sheikh Zayed Prize for Literature, which he won in 2007. My first novel was published in Syria and was very well received. If it had not had success, I might have returned to the French language. Quel parcours conseilleriez-vous pour appréhender la littérature algérienne de ses écrivains fondateurs à la jeune génération d’aujourd’hui ? Waciny Laredj : La littérature algérienne est traversée par le français, l’arabe et la langue berbère qui s’appuie sur l’oralité. Toute approche ne prenant pas en compte cette diversité demeure limitée mais cette richesse n’a pas été pleinement assumée car la littérature algérienne reste unie par son “algérianité”. More about the author (in French). Previously profiled: Egyptian Miral al-Tahawy, longlisted for her Brooklyn Heights, Bensalam Himmich, longlisted for My Tormentor, Fawaz Haddad, longlisted for God’s Soldiers, Khairy Shalaby, longlisted for Istasia, Raja Alem for The Doves’ Necklace, and Renee Hayek for A Short Life. See the full longlist here.